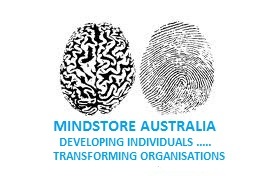 Welcome to the final day of this MindStore Goals Setting and Achieving Workshop. I trust you have successfully carried out the previous stages. I like to call this Extraordinary Goal Setting because it’s certainly not your Ordinary Goal Setting process. Ordinary Goal setting that you may have been shown previously at work or read books on or on internet blogs tell you to firstly set goals which are REALISTIC AND ACHIEVABLE. …………. in my experience not a single person who has inspired me throughout history started out with realistic and achievable goals. None of them get out of bed in the morning with a PASSION for a realistic and achievable goals. Extraordinary people who have achieved amazing things in all walks of life had huge goals that really inspired them and at the outset they had absolutely no idea of how to get there. The clue here is they didn’t know HOW but they absolutely knew WHY. Everytime they thought about this extraordinary goal it pressed all their buttons and inspired them to keep going towards the goal. Overtime through constant repeating and through time the people places and opportunities they need to achieve their goals came to them at right time. You will have heard successful people say “I was in the right place at the right time” well now having done 3 days of this you are absolutely in right place at right time. Next Step: Take the 30 goals you wrote down yesterday and begin to reduce them down to 7. When I was first introduced to this 20 years ago 30 goals seemed like and impossible amount to focus on. Fortunately there is a process to reduce that down to a manageable amount. You can imagine with 30 goals to visualise each one a few time a day would take a long time plus it felt a bit greed y to ask for so many. So we decided to pick a smaller number, that was 7, 7 days of week, 7 colours of rainbow, 7 notes on musical scale etc 7 is an important number. Yesterday those goals that seemed impossible with your left brain saying “that’s not possible” are exactly the type of extraordinary goals that thousands of MindStore attendees over the last 20 years have been achieving because this process just works. Also you will find that in achieving the 7 you actually achieved all of them. I have looked at goals I set 15 or 20 years ago and look back astounded that they came true and I am living, doing and have the things I wrote out. I also remember they seemed impossible at the time and now I look back and wish I had set bigger goals, that those now seem quite tame and small. It’s fantastic. So get your list of 30 or more out and begin to reduce them to 7, some are must haves others are combinations of a few goals. So do this and remember your wheel of life and sense of balance. Now we do the work on them, the process for ordinary goal setting the Realistic & Achievable and SMART process, tell you to get the right plan and the right objectives. We don’t do that. The work we do in the beginning is to get ourselves relaxed, close our eyes and in our minds eye visualise each of the goals. Remember about being in the right place at the right time. Well be assured that on day 4 of this process you are absolutely in right place at the right time. What we do is we relax, close our eyes and in our imaginative right side of our brain, go into our future and pull up the goal in our minds eye. We run through a video of the goal being achieved and then at the exact moment it’s achieved we take a freeze frame snap photo and know exactly what it looks like.Get a sense of how it feels, smells, the sounds relating to the goal also if relevant. This is the working part of it, or the inner work as we say at MindStore. The part that takes discipline. Once you have visualised your goal then in your note book write out on one or two pages for each goal. Put the date you set the goal down and also the date you will achieve it by. Ignore the left logical brain or negative self talk and doubt. Write the goal out clearly, and then create an affirmation for that goal. This is just a short sentence with 3P’s. It needs to be Personal, Positive and in Present tense. So beginning starts with “I have, I am” and can end with “now” if you like. In the middle is the positive thing you want to do be or have. Then I urge you to get photo downloaded of goal and glue it to your note book. Finally put in a detailed description of the goal and what it will be like when its achieved. The reason for the detail is how many people have set goals of say “I want to lose weight” or “I want more money” with the last one you could find 10cents on the footpath, then your goal is actually achieved because of the lack of detail! Put in exactly how much you want put a $ figure in bold writing in this example. Then before you go to bed each night read the goal, read the affirmation, look at the image, read the description. Then close your eyes and go to sleep. If you have previously attended a MindStore event you will know about specific tools and techniques for this and for waking in the morning “programming” your day. If you are new to this then it is fine. Just wake up look through your goals again and then think about your day and the way you want it to go. You can always set a goal for us to come to your workplace to run a MindStore event for you and your colleagues to learn even more! Then people places opps, begin to line up, it takes time, it is not instant, the resources, the ideas need to line up in time, but you will get there if every night you remind yourself and do the work. Also put photos where you would least expect to see them, inside the wardrobe, in the car, they subliminally program you and remind you constantly of your goals. The critical thing is to constantly remind yourself and visualise your goals. Doing this every night every morning, things will begin to happen. I promise you. Get in touch with me if you feel it’s not working for you so I can help. In time you will begin to get confidence and more creative ideas come along. Sometimes you will wake up with fantastic ideas to help you on your path to your goals. Write them in your notebook, like a Night Book. I have taken the 4 days out myself to do this process and set myself up for 2015. I trust you will trust yourself to do this. I know that if you do this work as explained above you will attract the right ideas to take the action and you will achieve your goals, it just works. I am looking forward to 2015 I know it’s going to be my best one yet and using this process I know it will be for you too! Congratulations for getting this far, finish the process and if feel free to contact me if you would like further help. Look forward to hearing from you in 2015! Wishing you the very best with this in 2015, please keep up to date with us on our website, email updates as well as on twitter and LinkedIn.